Yahama is bringing back and redefining the boombox with its new PDX-11 portable speaker for iPhone and iPod. Designed to have an octagon shaped body for ruggedness and stability, the PDX-11 features a top charging dock with volume-only controls and a metal carrying handle. Powering the PDX-11 is a two-way speaker system with a single four-inch cone woofer and a dedicated tweeter said to deliver strong bass response, clear highs and stunning mids. 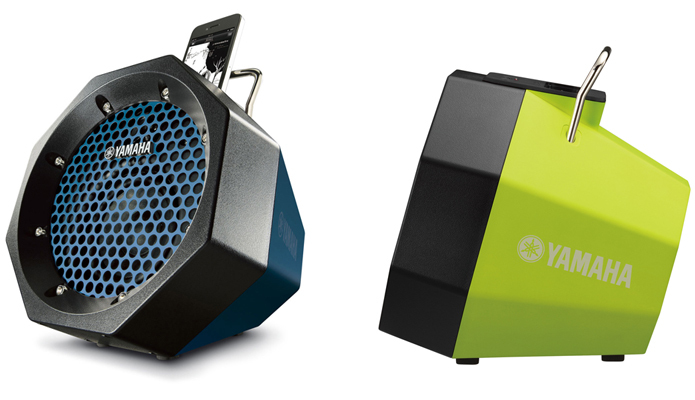 Yamaha's PDX-11 portable speaker can be powered using six AA batteries or by using an AC power adapter. It's available right now in four colors for $99.95.